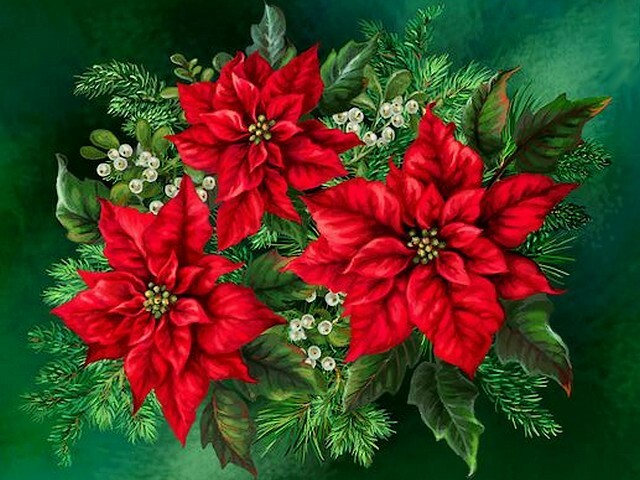 Festive wallpaper with scarlet poinsettia, painted by Dona Gelsinger. The poinsettia is named for Joel Poinsett, the first U.S. minister to Mexico, who brought the plants home in 1825. The poinsettia (Christmas Star) is known for its red and green foliage and is widely used in Christmas floral decoration.